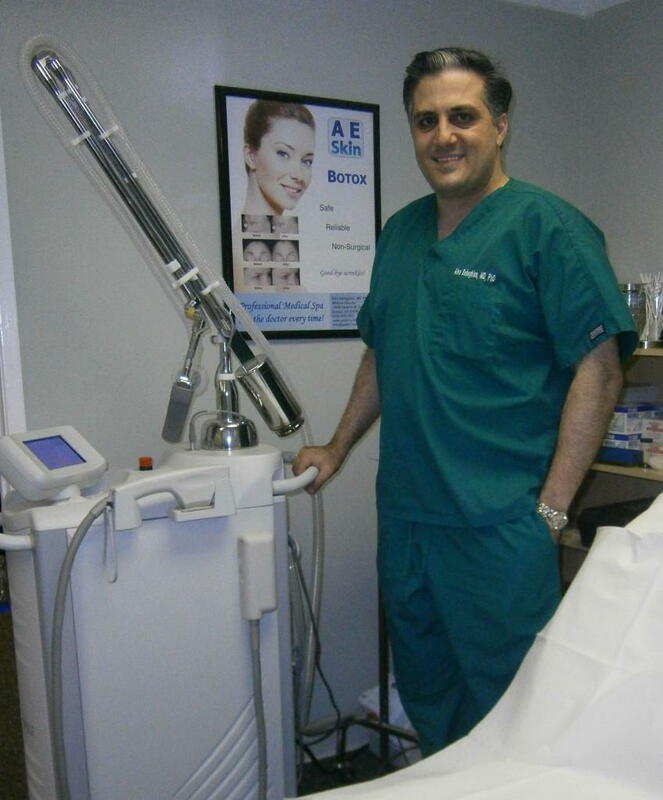 Last week I performed my 3,000th Forever Young BBL IPL Photofacial treatment, another great milestone for A E Skin. We have helped so many people and learned so many things from doing so many treatments. The Forever Young BBL IPL Photofacial is an outstanding treatment for facial rejuvenation. Studies have even shown that it changes the skin genetically to look more youthful. The Forever Young BBL IPL Photofacial treatment works well for sun damage in the form of dark spots or sun spots. It also works for redness from rosacea and broken capillaries, closes enlarged pores, and tightens the skin to improve fine lines and wrinkles. Using the Forever Young BBL IPL Photofacial, just about any skin type can be treated. It has a large spot size and pulses very quickly, allowing for the treatment of an entire face in three to four treatments. And the face is not the only place that can be treated. Just about anywhere on the body can be treated. Other commonly treated areas are the upper chest and the back of the hands. Impressive results can be seen over time with three to six treatments, but many people see improvement in just a single treatment. It is an easy an comfortable treatment because we use numbing cream and cold air for patient comfort. And there is virtually no downtime; most people go to work the next day. The Forever Young BBL IPL Photofacial can be combined with a Micro Laser Peel for the Soft and Smooth Rejuvenation treatment for even better results. Take a look at some of the before and after pictures for yourself. Using skin care products to complement the Forever Young BBL IPL Photofacial treatment will enhance the results further. We are looking forward to many more treatments and many more happy patients. Contact us for a free consultation with Dr. Alex.